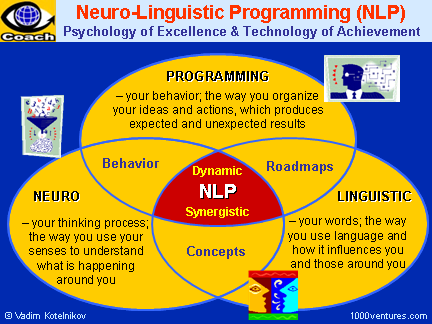 What is Neuro Linguistic Programming - Psychology of Mind Control - Chickensomething What Are You Afraid Of? There are many different NLP techniques that can be used for many different purposes. Each NLP technique can be used by itself or in combination with other NLP techniques to create fresh and effective methods of "getting inside the mind". To read more about each specific technique, just click on one of the icons below, or use the left navigation menu. Anchoring - Implants a sensation into the mind to act as a trigger. Pattern Interruption - Used to leave unconscious messages in the mind. Swish - Replaces or changes the feelings associated with a condition. Loop Break - Controls feelings, behaviours or reactions to certain conditions. Framing - Increases or decreases emotional response to memories. NLP Meta Model - Helps clarify communication.